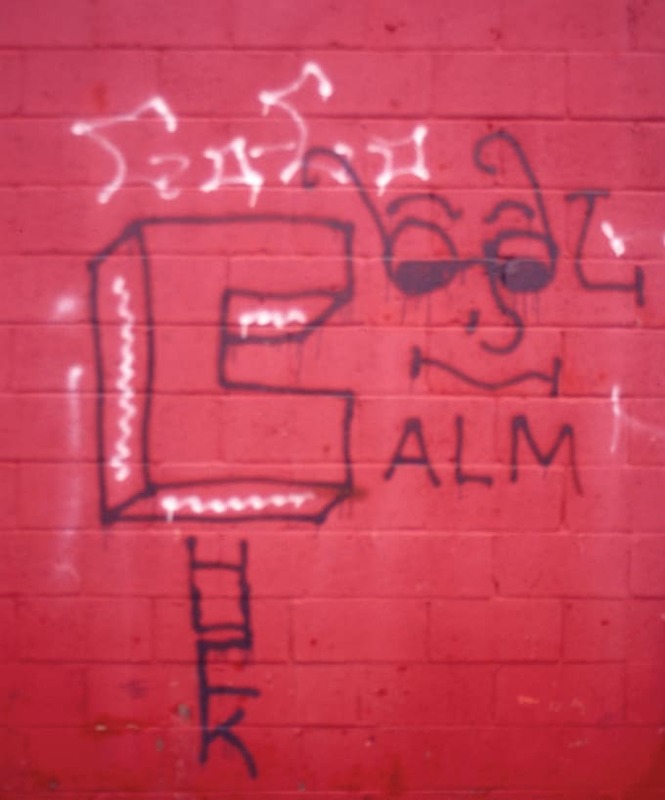 COOL CALM CHUCK wrote graffiti in the early '80s, as a south side “go-go” writer he primarily wrote his name as signatures. A highly prolific writer, his name adorned hundreds of buses and incalculable wall space. His penchant for writing his name large and legible made him a standout in his time. His style also serves as a bridge between the early signature style and multi-dimensional graffiti art. Chuck was known to paint his name in the stacked form with one large letter “C” to begin all three words, in addition he would frequently make the beginning letter “C” a two-dimensional letter, thus creating a piece that was a combination between the two forms of the practice.